When pitching for new projects or contracts, you may be asked to provide a fixed or estimated quote. Some clients may ask for a complete project price while others may work from your day or hourly rate. 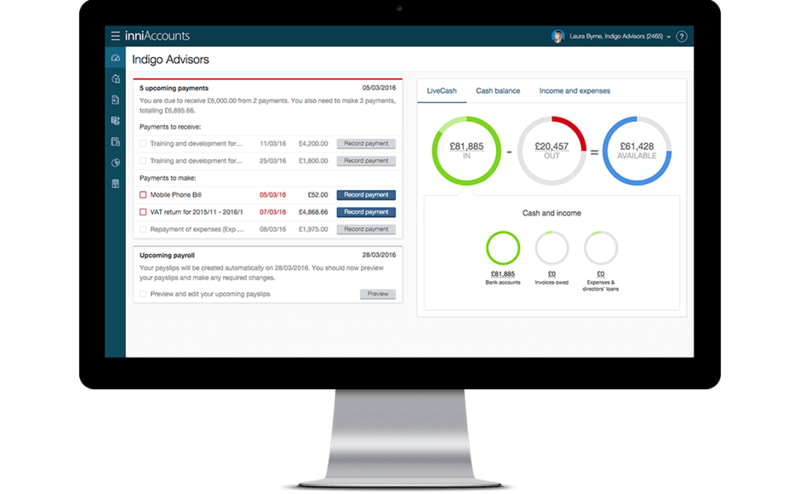 With inniAccounts you can create professional quotes in a matter of seconds. You can create a quote in your Invoicing area by selecting the new quote button at the top of the page. You can then select an existing client to pre-populate the quote with information from your contract settings. Or, you can select a free-type quote to create a quote for a brand new client. As with raising an invoice, you will be able to alter your client’s details, the quote date, expiry date and branding. You can also enter a specific reference for your quote. You can use the add line button at the bottom of the screen to add a manual line to your quote. You then just need to select the category and enter the description, quantity, unit price and VAT rate (if applicable) of your quoted services. Once you’ve finished editing your quote, select the save button at the top of the page. You’ll be taken to your Invoicing area where you can download a PDF copy of your quote or email it to your client. Remember, quotes are for information purposes only, so a pending payment won’t be raised when you create one; this means that you won’t receive any reminders concerning your quotes. If your quote is accepted, you can directly raise an invoice from the quote, this option is available when you view the quote PDF. You can find more information on using your invoice area here.